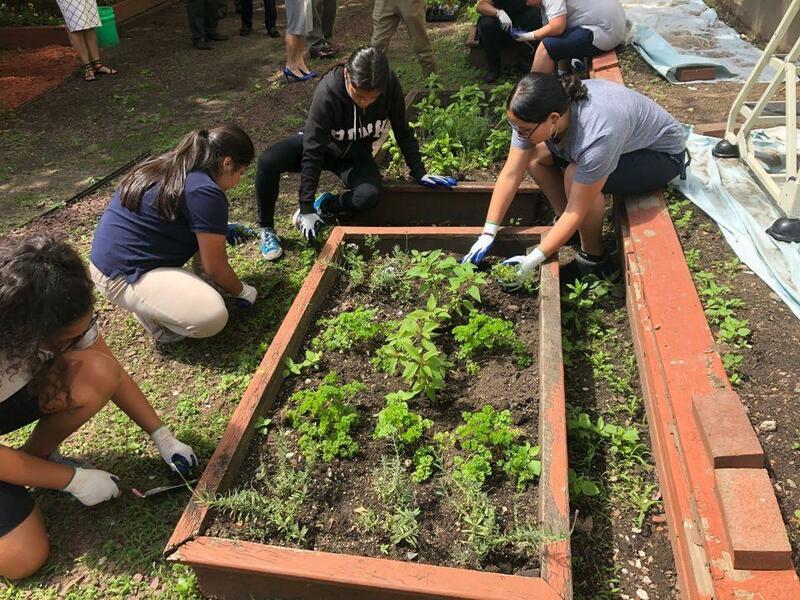 UNION CITY-- Students at Emerson Middle School, with help from a few hardworking and passionate educators, have started growing community gardens. What started out as a classroom filled with old lunch tables and a courtyard marred by weeds has evolved into an indoor hydroponic garden where crops are grown in water instead of dirt and an outdoor garden/sanctuary for the students. Students of all grade levels have the opportunity to work in the gardens after school for a couple of hours every week. Some have even begun hydroponic gardens in their own homes. "It has been a great experience,'' science teacher Hilda Ventura said. "It's exciting to have the students taste the produce they themselves are growing and to see how focused they are when they get in the gardens." Ventura and fellow science teacher Laura Kushnir have been involved since the gradens' beginnings. While the outdoor garden began a few years ago, Emerson Principal Mike Cirone first thought to create the indoor hydroponic garden in 2016. By February 2017, the school had its first "nutrient film technique" device and a single vine crop to grow food. Over the past year, the hydroponic garden has expanded to two NFTs, four vine crops, and four vertical towers of tomatoes, kale, peppers and even lemon basil, which is used to brew tea. The students produce close to 70 pounds of food a month in the hydroponic garden. Once all the fresh produce is harvested, the school donates the food to local Union City families. Emerson first donates the food anonymously to families of students in need. What's left is given to other less fortunate members of the community through Mayor Brian Stack's food pantry with the students harvesting and packaging it all. On occasion, the students hand out the food themselves and directly see the people they are helping. "It's a good feeling knowing you're helping these families in need and actually handing out food to the people you're helping," student Savanna Rivera said. Working in the gardens, she said, is "very cool'' and even relaxing. "You get to have fun and see everything that's growing," she said. According to the teachers, the garden has also helped a few of the students who typically do not perform well in the classroom or who have disciplinary issues to realize that learning can be fun. 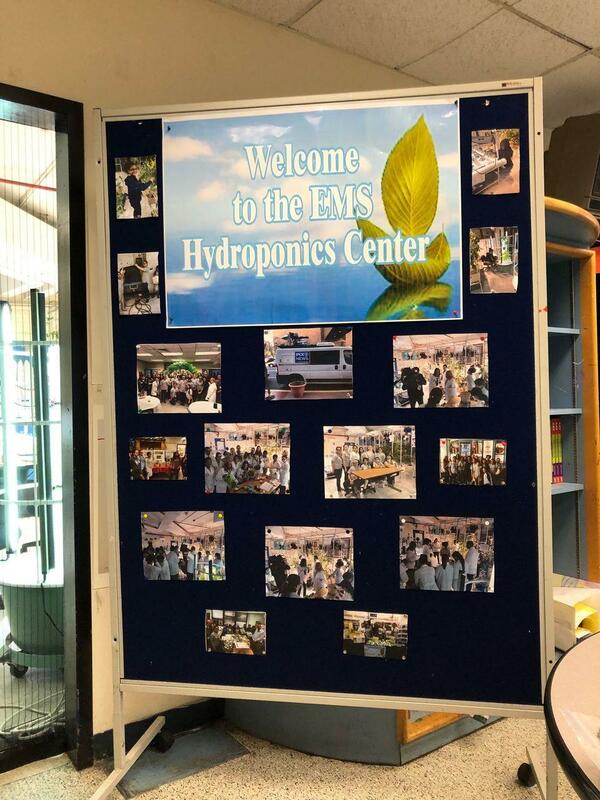 The Union City Board of Education plans to build on Emerson's success and open hydroponic labs in three more schools by September 2019, with hopes of bringing these gardens to elementary schools. BOE member Charles Webster has been instrumental in securing funding for the new gardens and often oversees the students working in the outdoor garden. The labs, he said, are "forward thinking and urban." They "give the children a chance to make a difference in the community that they can actually see, which ultimately makes learning fun," Webster said.